GCell is an indoor Energy Harvesting (EH) technology, otherwise known as power harvesting or energy scavenging. It is the process by which ambient energy, in this case light, is captured and converted directly into electricity for a wide range of indoor and portable products. Products powered by GCell reduce or eliminate the need to use disposable batteries and should be used in instances where replacing batteries is impractical, costly, or dangerous. 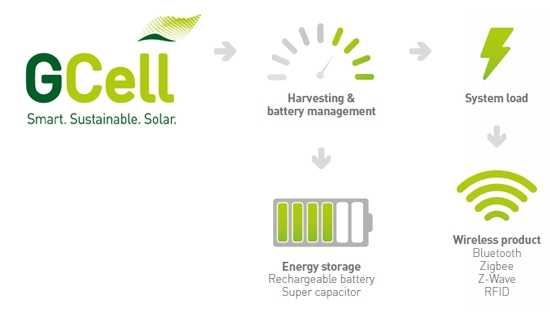 Applications using GCell as an indoor Energy Harvesting source will benefit from an optimised indoor solar cell that can provide a maintenance free product that reduces land-fill waste and the usersâ€™ carbon footprint. 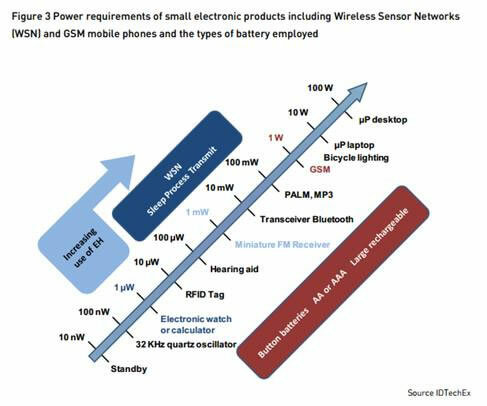 IDTechExâ€™s take on the power requirements of small electronic products, the types of battery employed and the promise of energy harvesting. Lowest leakage currents to maximize harvested energy. For more information on options for energy storage andÂ Energy Harvesting visitÂ Energy StorageÂ Considerations.